China is on course to become the biggest offshore wind market in the world. China has been catching up with the U.K. on wind since 2017. The U.K., which now leads the world in offshore wind installations, will soon lose its title to China, despite plans to double its capacity by 2030. The analyst firm FTI Consulting expects China’s cumulative offshore capacity to pull ahead of the U.K. after 2021. China's advancement comes as the U.K. completed a number of prominent projects in 2018, including the world’s largest operational offshore wind farm, Walney Extension, which clocks in at 659 megawatts, plus the 573-megawatt Race Bank and 400-megawatt Rampion plants. The 122.29 billion yuan (USD $18 billion) investment is part of a plan called "Three Gorges on Sea" that aims to develop 10 gigawatts of offshore wind in Jiangsu, reports said. 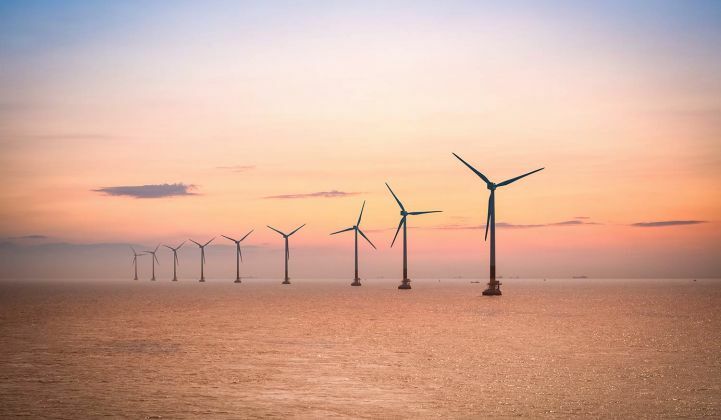 The Jiangsu projects approved this month are nearly six times as much as the 1.2 gigawatts of offshore wind power that China installed nationally in 2017, based on figures from the Global Wind Energy Council (GWEC). They also represent more than twice as much capacity as the whole country had installed offshore at the end of 2017, which GWEC put at almost 2.8 gigawatts. Jiangsu leads offshore wind development in China, installing half of all new projects in 2017, with further capacity being split between the Fujian, Guangdong, Zhejiang and Hebei Provinces.